MOORESVILLE, N.C. – Following the two-day ARCA Racing Series presented by Menards open test session at Daytona International Speedway, it was hard to wipe the smile off Justin Fontaine’s face. Driving the No. 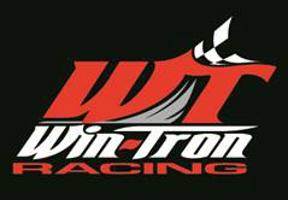 33 ProMATIC Automation Toyota Camry for Win-Tron Racing, Fontaine posted the 13th quickest lap overall in a session that saw 63 drivers turn at least one lap around the 2.5-mile superspeedway. “I’m very satisfied with my weekend at Daytona,” said Fontaine. “I can’t thank the Win-Tron Racing team enough for bringing me a strong No. 33 ProMATIC Automation Toyota for the test. Car owner Kevin Cywinski expressed how pleased he was with Fontaine’s progress from start to finish. “Daytona can be intimidating,” he said. “It’s a place that has such rich history both on and off the track, but Justin added his name to the track legacy in his own way with a successful test at Daytona. Fontaine joins Win-Tron Racing, the driver development partner of AM Racing for several races on the ARCA Racing Series tour in 2017 starting with the Feb. 19 Lucas Oil Complete Engine Treatment 200 driven by General Tire. 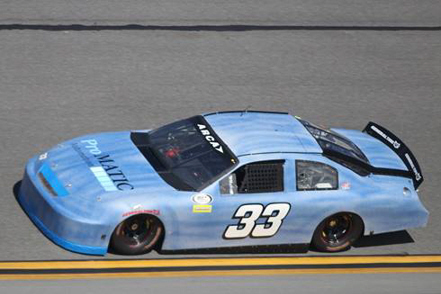 Tim Self, team principal at AM Racing attended the ARCA test to watch Fontaine to make his first laps at Daytona. “I’m real proud of Justin,” said Self. “He learned a lot at Daytona this past weekend and that will without a doubt will help us not only for the ARCA race next month, but also for his impending Truck Series start at Daytona the week after. Justin Fontaine is the younger cousin of longtime Truck Series competitor and Florida short track ace Chris Fontaine. To learn more information on AM Racing please visit awsracing.com. ProMATIC Automation, Inc. specializes in the design and build of custom factory automation equipment. With complete in-house capabilities of design, programming, fabrication, machining, electrical and mechanical assembly, ProMATIC can manage project resources and coordinate manufacturing efforts to provide quality, on-time automation project implementation.